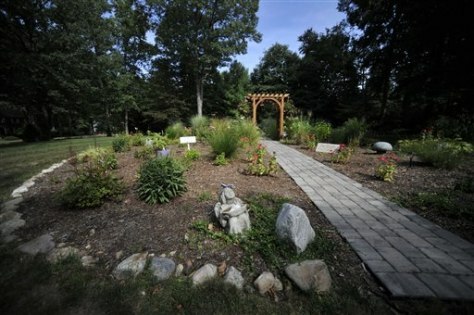 A remembrance garden is in place where the house of the Petit family once stood in Cheshire, Conn. In July 2007, intruders broke into the Petit family home and held the family hostage for several hours before setting the house on fire. Dr. William Petit Jr., was severely beaten, and his wife and two daughters were killed.